Everyone wants to look and feel good, and as we grow older lines and wrinkles can become a concern. Our facial treatments combine art and science to make you look and feel younger. Age defying treatments include dermal fillers such as Juvederm and Restylane, and wrinkle treatments such as Botox and Azzalure. These treatments will soften your lines and furrows making your skin look younger. We can enhance your lips giving them a fuller appearance. All our treatments are tried and tested non-surgical procedures and treatment costs are much less than you might think. For a free consultation to discuss your concerns and wishes please contact reception. 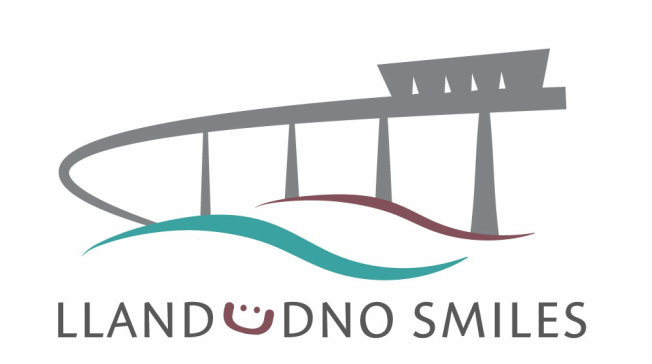 Six Month Smiles enables your teeth to be moved quickly and safely with orthodontic braces. It is a treatment available to anyone over the age of 18. This innovative new technique utilises clear braces and tooth coloured wires to gently move your teeth into a more desirable position in approximately 6 months. The treatment focuses on the front six to eight teeth, that is, only the teeth that show when you smile. It can be used to correct crooked front teeth, and to close spaces around teeth. Your bite will not be affected. Treatment is much faster than conventional orthodontics and is typically less expensive. For a free initial consultation please contact reception. Dental implants are a very predictable solution for missing teeth, lasting for many years. Recently they have become far more affordable and are now the first choice option for the replacement of one or more missing teeth. Implants can also be used in combination with dentures to improve their stability giving you back your confidence and leaving you with teeth that are comfortable and stable. Implants are really life changing and life enhancing. A titanium post is placed into the bone. This is a painless procedure which is carried out under a normal local anaesthetic. Patients have often commented that the procedure was far easier than they had been expecting. We like to leave the implant to integrate with the bone for 3 months following placement. This allows for the best possible support for your crown, bridge, or denture. Wrinkle reduction with Botox has become the most popular facial treatment over the past few years, because it is easy and predictable. Botox can be used to reduce wrinkles especially those on the forehead and around the eyes. We give a small injection of Botox directly into the wrinkle. There is no need for anaesthesia as the procedure is well tolerated. The effects of the anti wrinkle treatment begin to appear within 2 to 3 days, with the full effect being visible after 2 weeks. Patients are invited back to the surgery after 2 weeks for a free review to assess the results. Studies have shown that anti wrinkle injections are more effective and last longer when given at regular intervals of 3 to 4 months. If at any time you decide to cease treatment your wrinkles will return to their previous state and will not become worse. Anti wrinkle treatments can only be given by a qualified person, typically a doctor, or a dentist. Be wary of having treatments from anyone other than a doctor or a dentist as only they can legally prescribe the drugs used in the treatments. Dermal fillers are used mainly to enhance the lips and to smooth away the lines running from the nose to the corner of the mouth. One of the main constituents of the skin is Hyaluronic Acid, which is responsible for skin hydration. It has an amazing ability to hold up to 1000 times its weight in water, which helps it maintain skin smoothness and volume. As we become older the amount of Hyaluronic acid in our skin decreases, leading to a loss of volume. Dermal fillers are composed of Hyaluronic Acid, therefore when we inject these into the skin we are topping up the effects of our own Hyaluronic Acid, resulting in smoother skin, replenishing lost volume and softening the appearance of facial lines. Dermal fillers can also be used to enhance and define lips. The effects will last for approximately 6 to 9 months. Hyaluronic acid is a natural product and so, with time, will be completely broken down. A local anaesthetic is applied to the area before the dermal filler is comfortably injected into the area of treatment to fill out the line, wrinkle, or fold. Treatment with dermal fillers does sometimes take more than one session to get the best results. The first treatment lays the foundation for the subsequent treatments. and future treatments allow for any adjustments to be made.